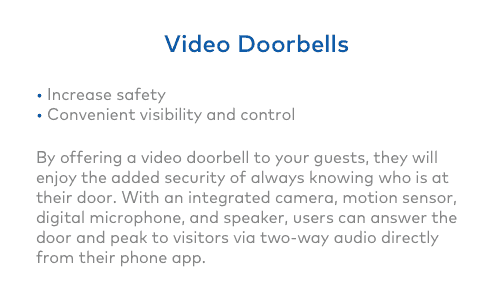 Vacation rentals have fully incorporated smart technology. Everything from a hotel room to a cozy, country B&B rents online. Customers go digital when they want to find the ideal holiday home, as this provides access to reviews, online tours and recommendations that help them to select the perfect place. Customers expect the same level of tech to ease their rental experience. 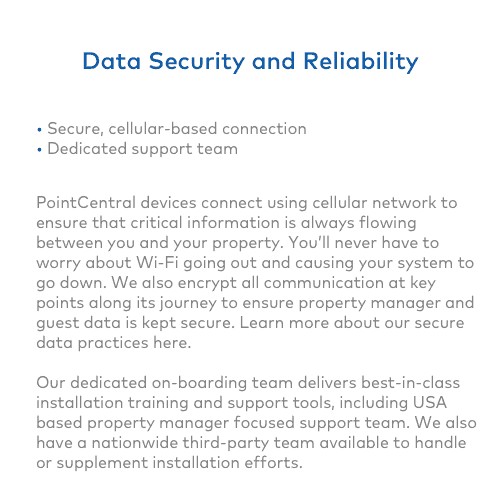 Design smart security into your smart home rentals to please guests, simplify operations, and keep assets safe. You’ve spent money and time getting your vacation rental ready for prospective clients. When you welcome guests into your vacation rental, you are entering into a relationship of trust. 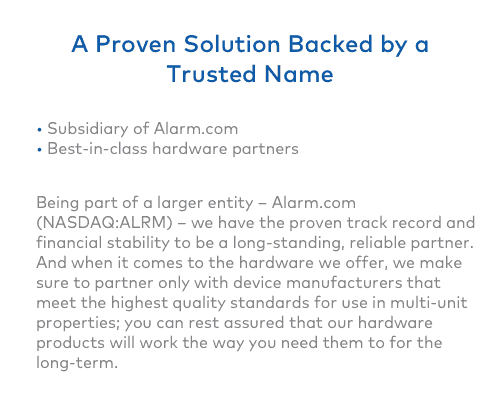 That trust isn’t always respected by your guests, unfortunately, and that’s where smart home technology will help you to secure your assets. Through cloud-based systems, you can grant or restrict access to anyone through any device that is web-enabled. 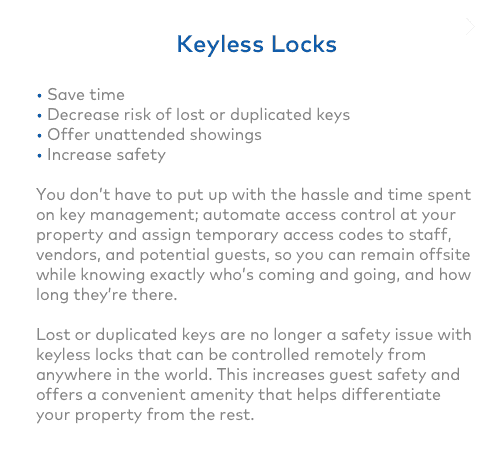 Let’s face it—keys can be copied, and key cards can get lost, so it’s a game changer when you have the ability to give prospective clients, realtors and service personnel access to your properties at any time from anywhere. 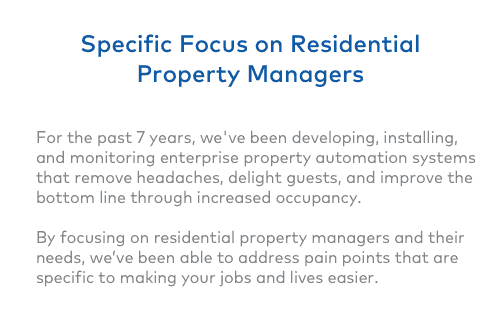 With front door cameras and automated access, you can control more than one property, while getting real-time data that you can use to better manage your properties and optimize your investments. Smart home detectors can save your vacation rentals from fire and your renters from noxious fumes, but they can also reduce your risk of damage from flooding. Through HVAC Analytics, your system will alert you to leaks in pipes, freezing temperatures that can cause pipes to burst, and high humidity that can lead to the growth of mold and mildew. This not only prevents damage to your property, it can help to reduce insurance fees. Vacation renters aren’t going to spend the time learning how your AC and furnace work. As a result, they may run your energy bills up. 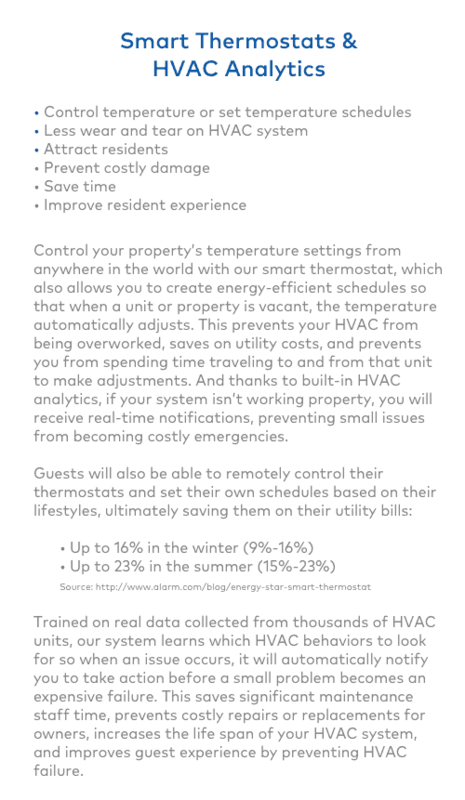 You can control your heating and cooling systems remotely through a smart thermostat. 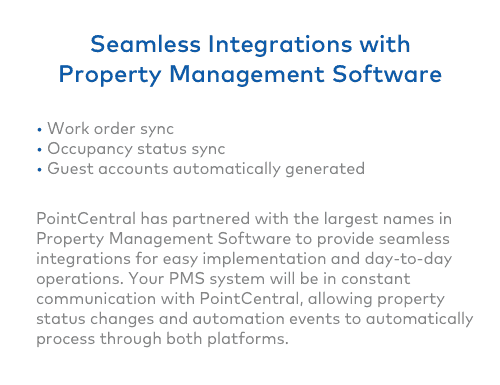 That means you can turn these systems down when your properties aren’t being rented. You can also ensure that the rentals are at the perfect temperature and comfortable before your renters arrive without having to visit the property yourself. A recent report by Edison Research and NPR showed one in five American homes are now kitted out with a smart speaker, up 78 percent in a single year. Google Home and Amazon Alexa are leading the race for smart home management. 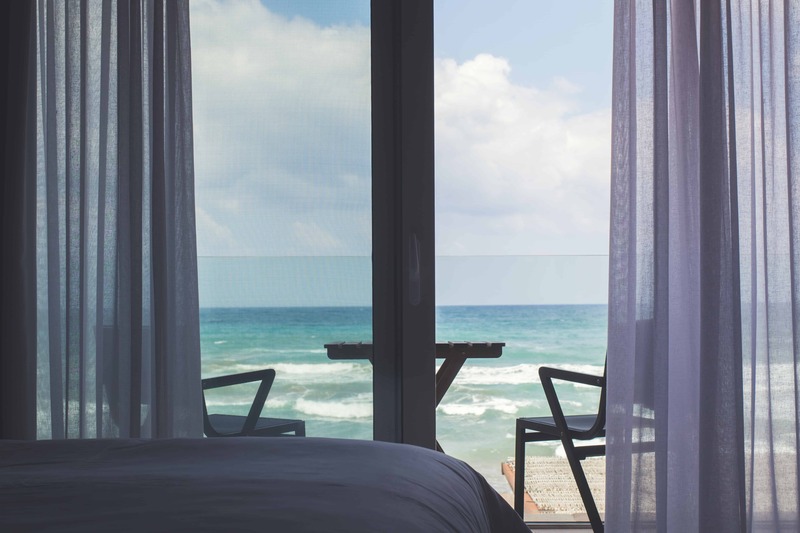 Equipping your vacation rental with a smart speaker can really augment your renters’ experience as your guests have their very own butler. Program your smart speaker with local attractions, restaurants, radio stations and tourist information. You can automate the check-in process and use your speaker to convey any pertinent safety information about the property and how appliances work. Installing a smart speaker can help to enhance your guest’s experience and make checking in and out easier.